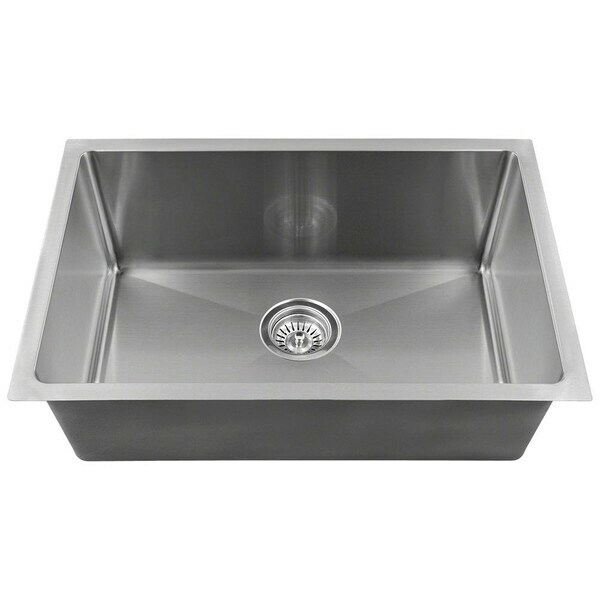 Maximum interior sink space is provided in this rectangular, single-bowl design; a mid-size basin in the 3/4? radius collection. The 2620S-14 is 304-grade, cold rolled steel, at an industrial, 14-gauge thickness. The surface is given a brushed-satin finish which adds to its luster and masks minor scratches which could occur over time. Dense, sound-dampening pads and an insulation coating are applied to the underside. With an overall measurement of 26" x 18" x 9", it will require a minimum-width cabinet of 28". This listing does not include any accessories. Dimensions 18.0 In. X 29.0 In. X 10.0 In.